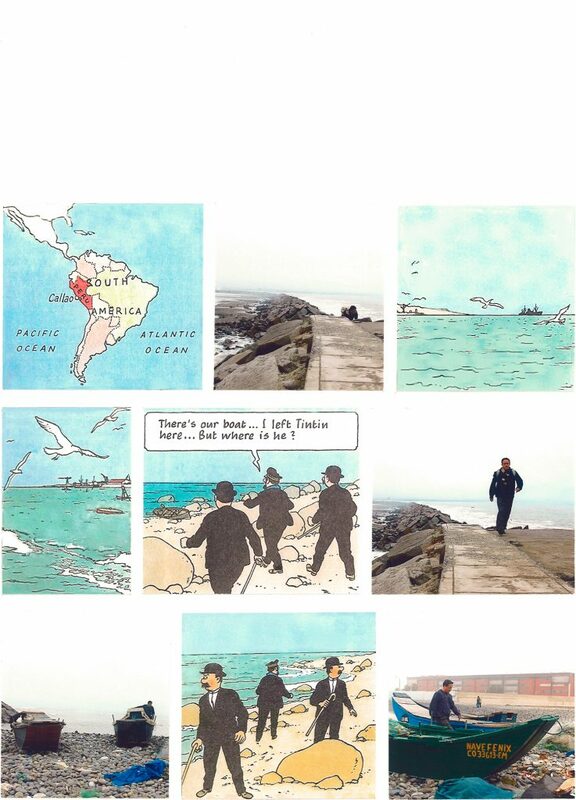 Tintin back to Peru has its starting point in the comic book ‘Prisoners of he Sun’ (1949) by Hergé. 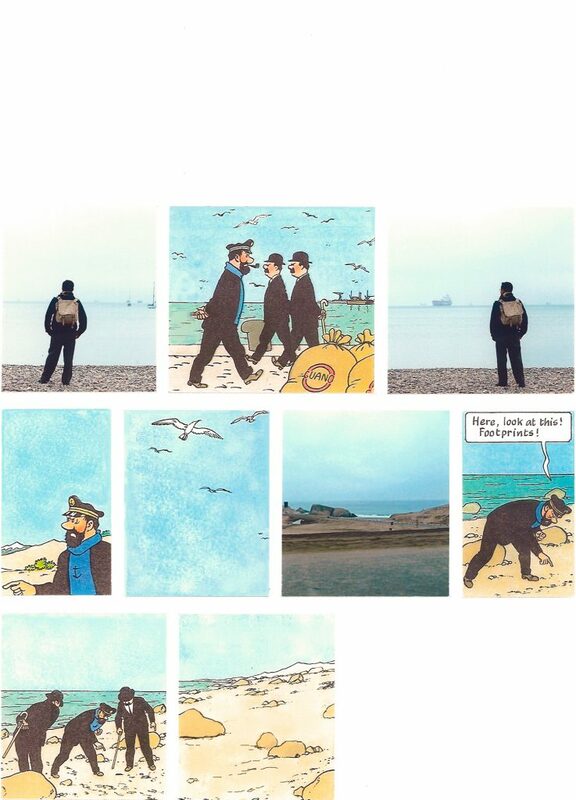 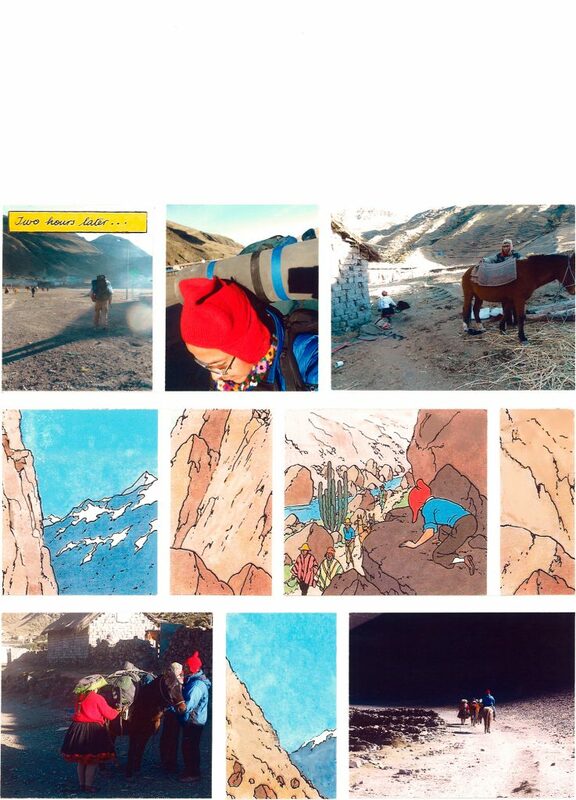 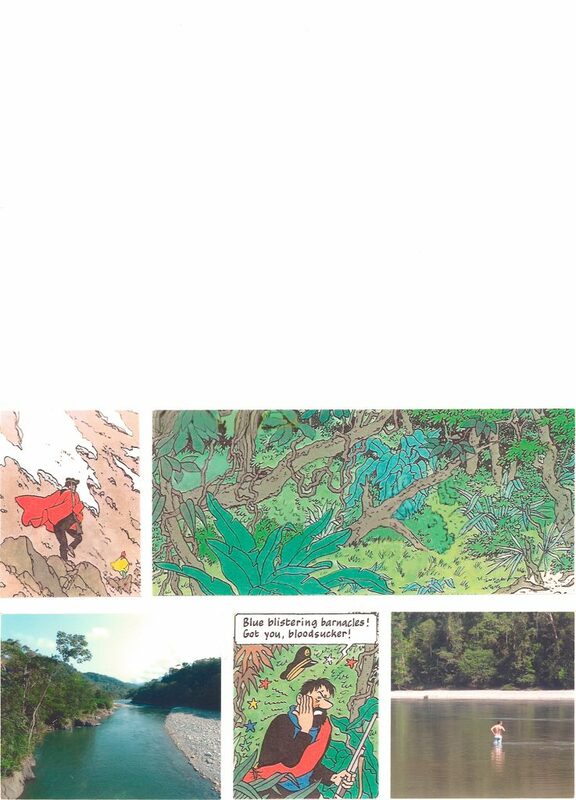 I followed the footsteps of Tintin to confront my image of my native country against the stereotypical represented image by the Belgian cartoonist. 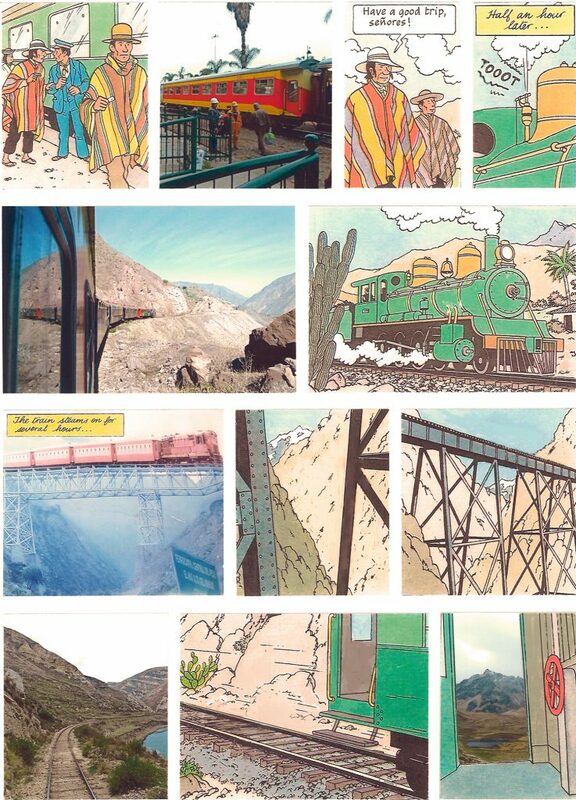 The work consists of a large drawn geographical map of the journey and 12 collages. 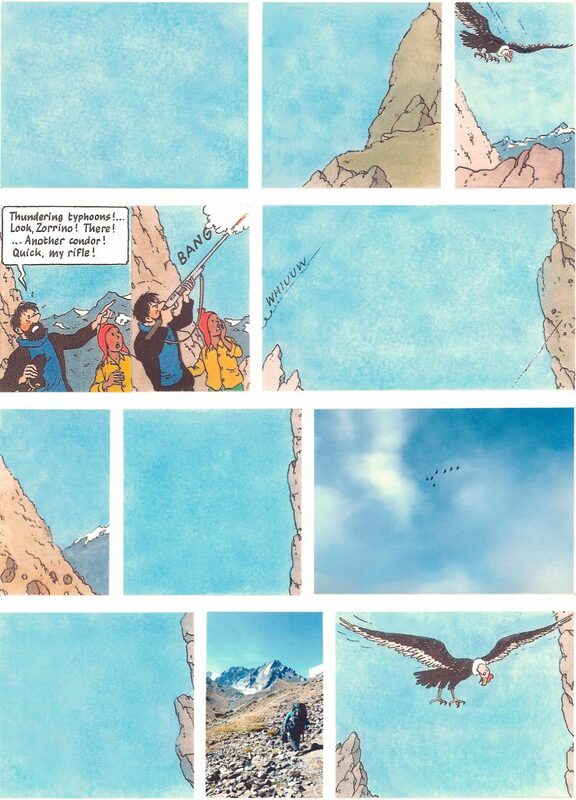 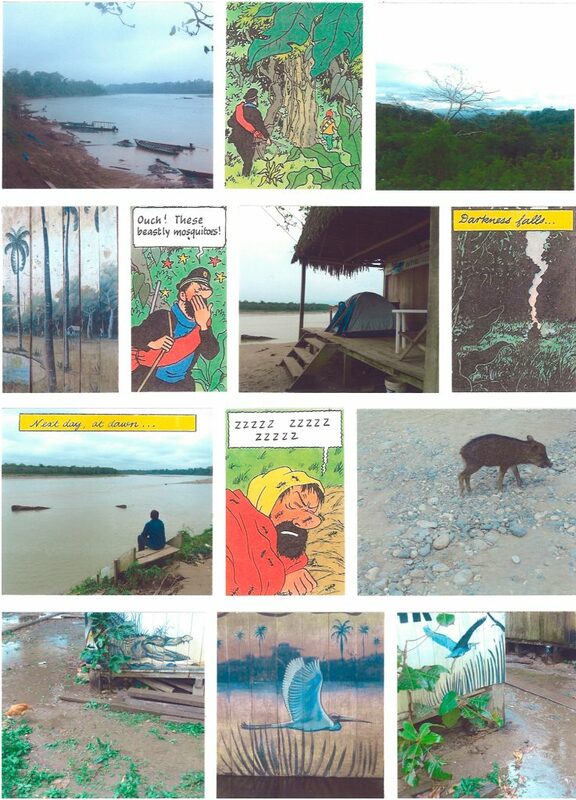 The collages repeat the basic layout and grid of comic pages 1, 4, 13, 16, 25, 27, 29, 30, 34, 35, 37, 39 (here page 13/16). 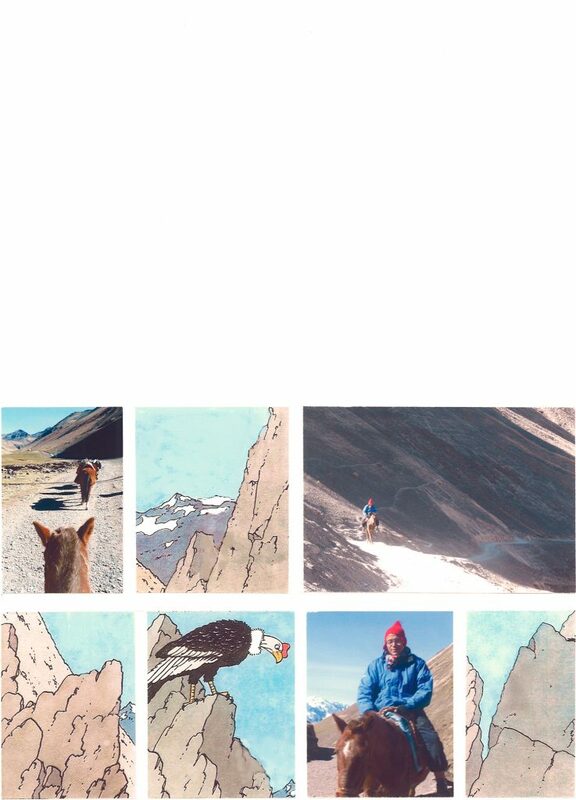 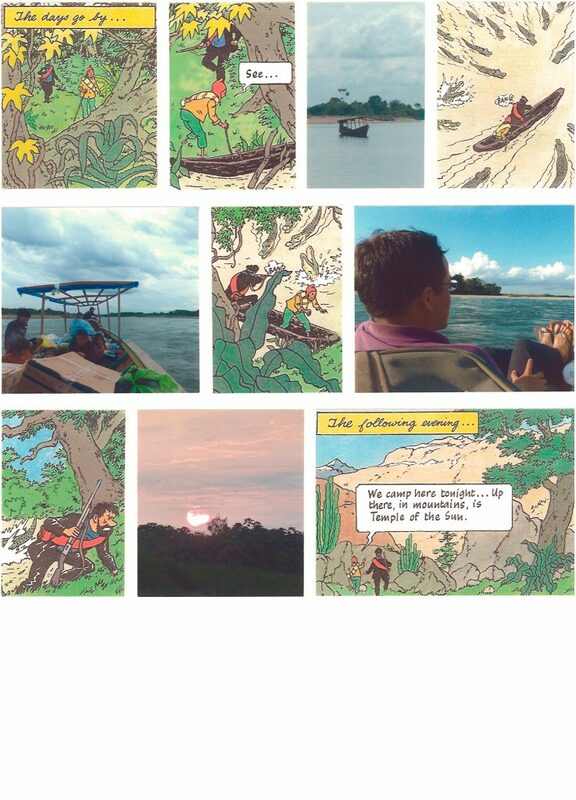 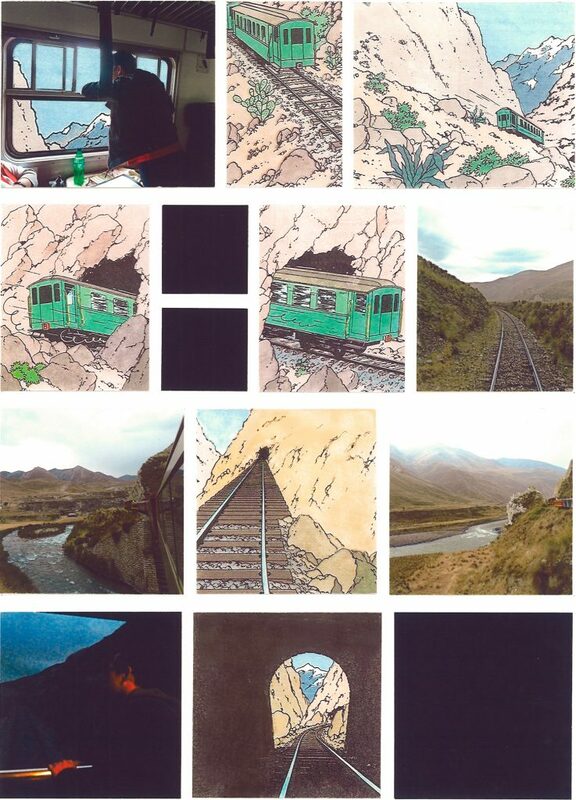 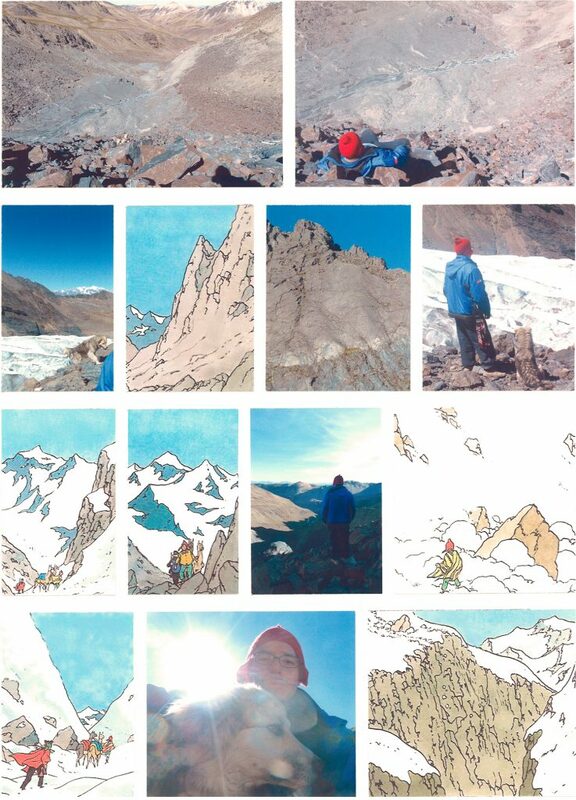 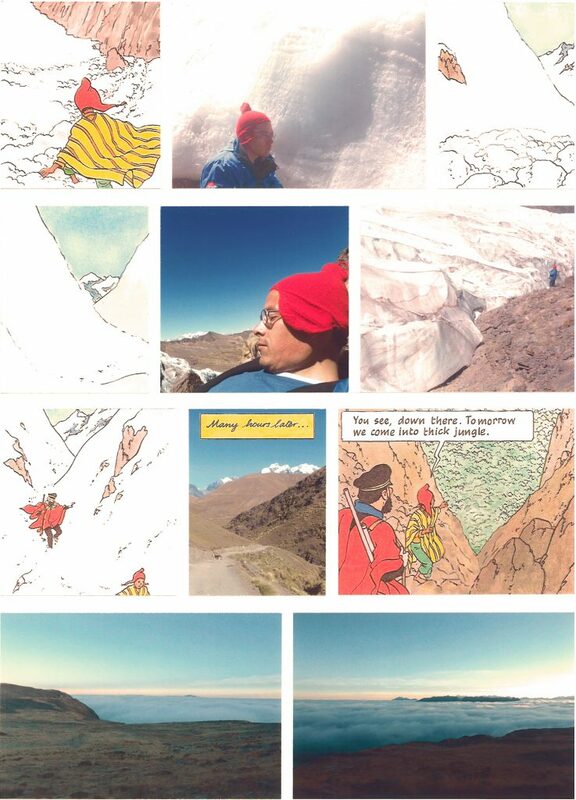 I used several of the original panels and substituted others by partly manipulated photographs of my travel.